Ancient Chinese Religion | Cool Kid Facts . China is one of the most ancient civilizations on the planet. It has had hundreds of different religions throughout its history. This began with the introduction of one central ruler of the gods, and slowly evolved with the introduction of different philosophies and ways of thinking. Over the centuries all of the different religious ideas transformed and separated into three components that have helped to form China’s national identity. These three religions are Taoism, Confucianism, and Buddhism. During this dynasty, which was one of the first dynasties, there was not an organized religion that everyone followed. Instead, during this dynasty (around 2000 BC) people followed many different gods, who they thought controlled the weather, water, fire, and so on. In fact, there were over 200 recognized gods whose names can still be found in Chinese literature. Above all of these lesser gods was Shang Ti, who ruled them as an emperor ruled China. Foretelling also played a major role during this period, with a large emphasis placed on appeasing the different gods. 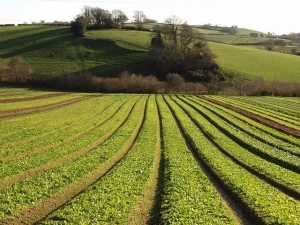 The ancient Chinese believed that by appeasing the gods, they would be able to prosper with better crops, and therefore, a better life. They also believed that when they died, they themselves would become gods. 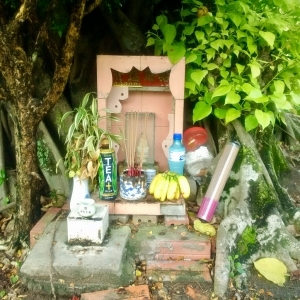 This is where the practice of honoring their ancestors in a shrine comes from. During the Shang Dynasty, there are also lots of different ghost stories that are found in the literature. Ghosts were the spirits of people that had not received a proper burial with the correct honors. They could also be in ghostly form because they still have some work to do on Earth that they didn’t accomplish in their lifetime. Something that is still observed in modern China is something known as Tomb Sweeping Day, where family members will go into a crypt and clean up and honor the dead to make sure that they are happy in the afterlife. The thought is that if their spirits are not content, then they will haunt the living until the situation can be rectified. Of course, none of this is considered to be an issue if someone dies naturally and is buried with the proper honors. If someone is thought to have lived a good life, then they will get to live with the gods after death. During the Zhou Dynasty, this concept was first introduced. It was a belief that Shang Ti would ordain a certain emperor or dynasty to rule and would allow them to rule as long as they pleased him. If for any reason that this was not thought to be the case, then these rulers would be replaced by others. In that way, the people of China were always able to rid themselves of any rulers who were thought to be doing a bad job of taking care of the people. During the Chou Dynasty (600 BC) the concept of T’ien (Heaven) was first introduced. Like Shang Ti, T’ien also ruled over all of the other gods and was thought of as the main ruler. Afterward, lots of different religious ideas came into being. Which is where the idea of Taoism comes in. 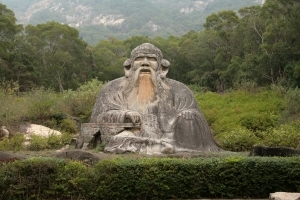 This religion was first introduced by a famous philosopher by the name of Lao Tzu. 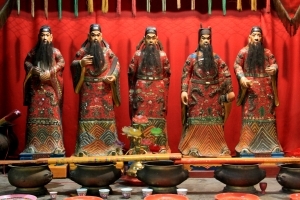 This religion quickly became very popular among the common and poor people of ancient China. It basically says that nothing should be achieved by force. People should rather try to compromise to attain what they wanted and use natural forces to aid them in their daily life. Taoism also states that there is a universal force that, when respected, will lead an individual to have a happy life. The idea of Yin and Yang comes from Taoism. These two forces were thought of as dark and light, cold and hot, male and female. The idea was that the two opposing forces were necessary to each other so that the world could remain in balance. If one of these forces were put off balance because of something that an individual did, then they would suffer. In order to get things back on track, they would need to find the right balance for their life once again. After Taoism came, another religion or philosophy called Confucianism. 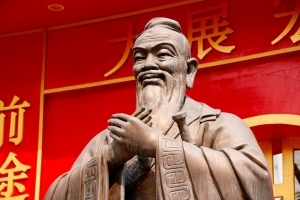 It was so named because the founder of this philosophy’s name was Confucius. His religious and philosophical teachings focused largely on treating others with kindness, respect, and politeness. At the center of his teachings were two key components, which are honor and morality. By following this code of conduct, Confucius said that everyone would be able to live a fulfilling, happy, and healthy life. Some of his teachings are used regularly today, even in Western culture. Our greatest glory is not, in never falling, but in getting up every time we do. 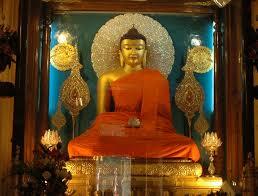 Of the three main religions in ancient China, Buddhism is the only one that did not originate there. Instead, it came from India around 200 BC. This was when Siddhartha Gautama or Buddha founded the religion. This was also during the Han Dynasty. Emperor Ming had a dream wherein he saw a golden man with a halo. When he asked his advisors to help him interpret the dream, one of them pointed out the existence of Buddhism. Emperor Ming then sent a representative to seek out the Buddha to inquire about his religious teachings. India then sent scriptures back to Emperor Ming on white horses, which is why the White Horse temple bears that name. Taoism and Confucianism were already firmly engrained in Chinese society as the top religions at the time. 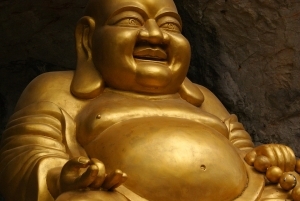 Due to this, Buddhism was slow to catch on in ancient China. However, after many years, it finally gained recognition and started having more and more followers. Buddhism emphasizes that the world is constantly changing and that there is nothing eternal in the world. It states that sorrow is bound to visit everyone. If a person follows the path of moderation that Buddhism prescribes, then they would be able to rise above these worldly problems. Buddha’s teachings have been summarized under the category of Four Noble Truths. Suffering is to be expected. This includes birth, sickness, old age, and death. Another great cause of suffering that can be avoided is ignorance and greed. In order to end this suffering, you need to cut all greed and ignorance from your life. If you wish to end your suffering, then you must follow the eightfold path. The religion that you followed in ancient China had a lot to do with what part of society you belonged to. For instance, during the Ming Dynasty around 1368 AD, Confucianism was the main religion for the emperor and ruling class. Commoners, on the other hand, preferred Buddhism and Taoism as their religion of choice.